You can edit settings of backup repositories you have added to the backup infrastructure. In the inventory pane, select the Backup Repositories node. 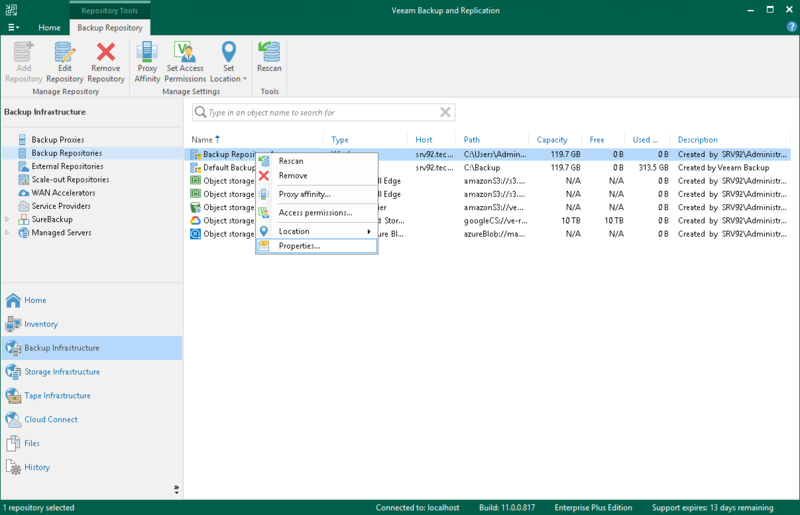 In the working area, select the backup repository and click Edit Repository on the ribbon or right-click the backup repository and select Properties. Edit the backup repository settings as required.